← 99 CENTS SALE Through Wed., Oct. 7th ~~”The Lives Between Us” by Theresa Rizzo: You will be Moved!! THIS WEEK WE WILL GET TO KNOW MORE ABOUT THE AUTHOR, TRACY KRIMMER! l will post her interview on Friday, and I will be offering a Very Special Giveaway! I am putting together some of the best books I have read for review sites and Elle Magazine! Can a compass lead you to love? Broken-hearted Ally Couper has had enough with her ridiculous life. Her job at the bank is going nowhere, and her love life might as well be non-existent. 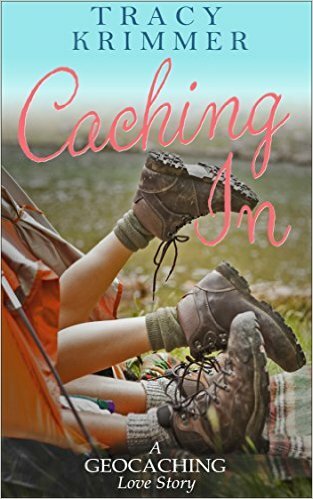 Determined to try something new, Ally becomes absorbed in the world of geocaching. The high-tech driven scavenger hunt introduces her to Seth, and she realizes the game isn’t the only thrilling part. Ally’s bad luck may finally be changing, until the past threatens to halt her future with Seth. Can they find happiness together, or is love the one cache Ally can’t find?